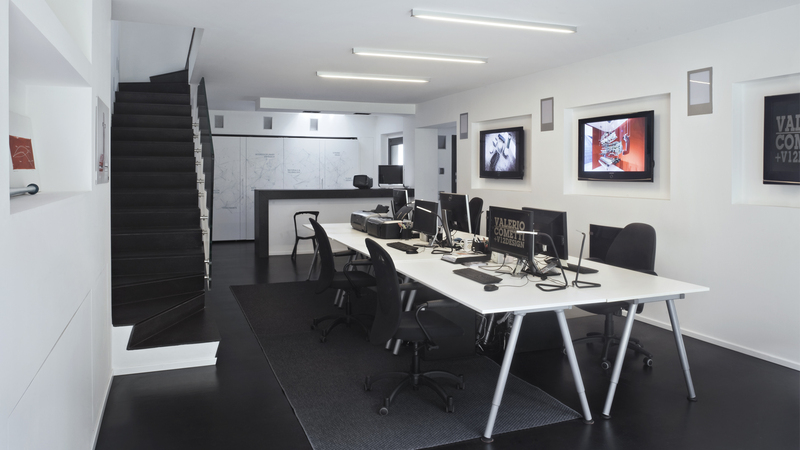 The renovation of the new headquarters of the prestigious firm of Valerio Cometti + V12 Design has led us to confront with new requirements, mainly in terms of new technical equipment, organization of spaces and finishings. 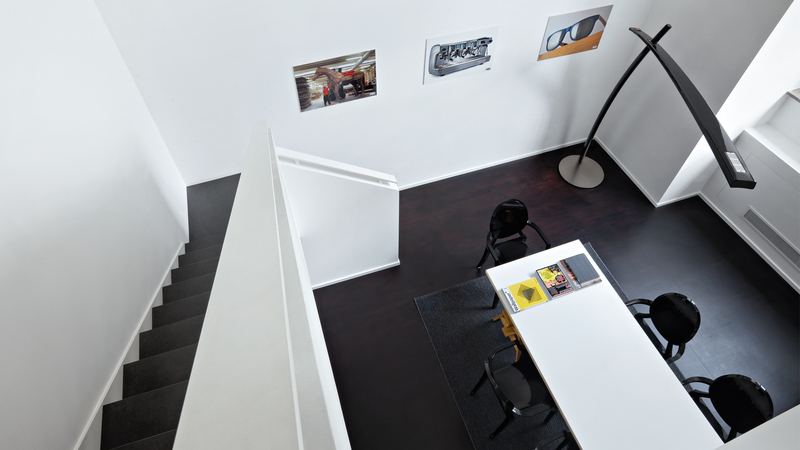 The architectural project is focused on the meeting room, where the existing height allowed the creation of a mezzanine. 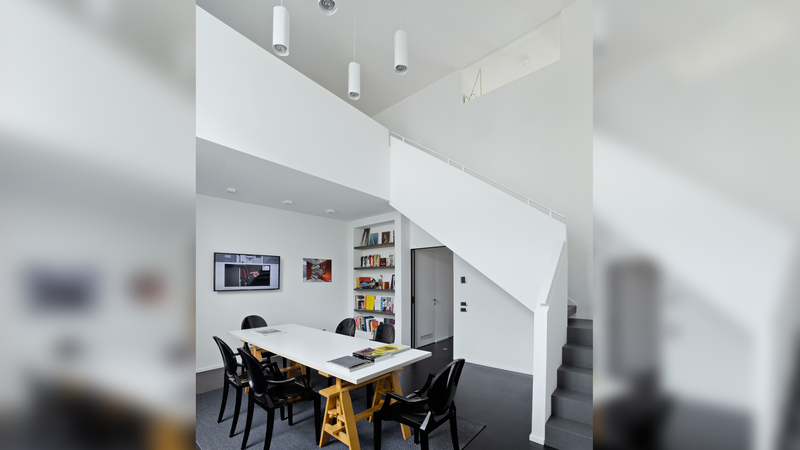 This space is strongly characterized by the severe and rigorous lines of the staircase and a central full-height space, where are suspended spectacularly, four lighting Sidney designed by Valerio Cometti. The contrast between the dark tones of the flooring and the white walls, give to the rooms a very simple and elegant character, which gives more emphasis and value to the colours of the design objects and the pictures displayed.